Prospects for regional governance (debating regional governance; realism vs liberalism), etc. Key regional economic blocs – North America Free Trade Agreement (NAFTA), Asia-Pacific; Economic Cooperation (APEC), Association of South-East Asian States (ASEAN), Mercusor, Free Trade Area of America, etc. Regional political bodies – African Union, Organization of American States, etc. intergovernmental and supranational features, etc. EU model be exported to other parts of the world? ), etc. Expansion of EU – phases of expansion; implications and significance of expansion, especially since 2004; prospects for further expansion; tension between ‘widening’ and ‘deepening’ of EU, etc. EU as a international/global actor – trading bloc; economic influence; structural power (membership of international bodies, etc), diplomatic influence; progress in developing a common security and defence policy and capacity (constraints and obstacles on such progress), etc. Confederalism or Intergovernmentalism may be seen as a process or an end state. As a process it is often termed intergovernmentalism whereby individual nation states come together for a specific purpose which may be part of an ongoing strategy to achieve some end goal. IGCs or intergovernmental conferences take place with increasing frequency on matters such as trade, the environment, debt relief and other matters. As an end state confederalism is assumed to be a semi or fully permanent intergovernmental organisation such as the G7 or G8 or may even take the form of a permanent structure such as the EU. It is at this point that intergovernmentalism becomes less process and more end state. Where institutions such as the EU develop supranational features, then the status and integrity of the independent sovereign nation state may no longer be preserved. This refers to laws or institutions which are above the state and to which the state must comply. The term refers to decision making bodies which may supercede or override the authority of the individual nation states who are constituent members of the organisation. The basic principle is that individual nation states cede or forego sovereignty in specific areas such as trade, defence, the economy or the environment for mutual benefit or gain. 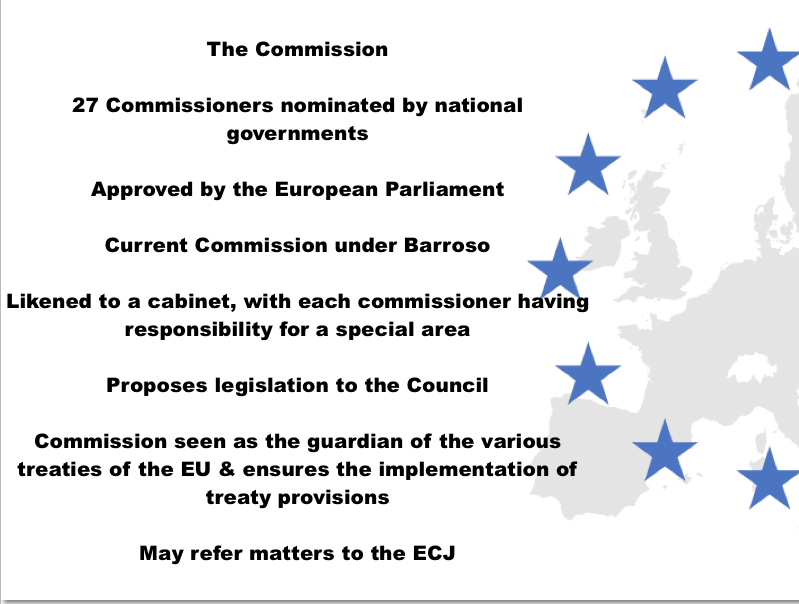 The clearest and most obvious example of a supranational organisation is the EU, whereas it is more difficult to assess whether the UN possesses supranational features. In many ways the status of the UN as a supranational organisation rests on the ability it has to obtain compliance from its members states. Where resolutions have been passed it remains necessary for other members states to possess the political will and, if necessary, the military means to enforce such decisions. Article 25 of the UN charter empowers the Security Council to exercise executive powers over its constituent members in matters of peace and security. Article 25 has only been invoked twice, once in Rhodesia in 1966 and again in Iraq/Kuwait in 1991. The term ‘…United States of Europe…’ was first used and advocated by Winston Churchill in March 1946. The architects of the EEC saw integration between the states of Europe as a means of building Europe’s prosperity and avoiding future conflicts. paving the way for a single European Currency with interest rates set by the European Central Bank for the whole of the Euro Zone. Even proponents of ‘…ever closer economic and political union…’ are wary of the term Euro-federalism, given the negative implications firstly of a loss of sovereignty and secondly because of the implications of remoteness, bureaucracy and lack of accountability. In particular British conservatives often use the term to denote some aspect of EU development or integration with which they disagree. Thus the recently proposed EU constitution is negatively attacked as being federalist or yet another step on the road to the creation of a federalist Europe. The direct implication is a loss of national sovereignty. A relatively straightforward concept used with regard to supranational institutions such as the EU and the member nation states. It implies that decisions should be taken at the most appropriate level, i.e at the level at which it is most practical to take the decision and at the level at which the ramifications of the decision are most likely to be felt. This necessitates a degree of autonomy from the centre which may be manifested in increased national control vis a vis Europe or increased devolution from Westminster. Decisions affecting trade or the environment might me most appropriately taken at the supranational level. Decisions affecting a state’s security or vital and strategic interests might be most appropriately taken at the national level. Decisions affecting a local or regional economy might be most appropriately taken at a sub national level by regional assemblies, local authorities or parliaments or assemblies such as those established in Scotland and Wales in 1999. The essence of subsidiarity is that it reinforces claims for the supremacy of national sovereignty over those of the supranational institution. Indeed the Tindemanns Report (1975) established the viability of the principle of subsidiarity in relation to the functioning of the EU Commission, nonetheless accepting that this would place limits on the extent of areas of competence of the EU, in relation to the member states. Ironically, those much in favour of subsidiarity in relation to the UK’s position within the EU are hostile to devolution or subsidiarity at home, in the form of devolution or the creation of regional assemblies. Member states have, to a greater or lesser extent, been deeply reluctant to cede control of foreign and defence policy to the EU. This is primarily because control over military and diplomatic affairs is usually considered fundamental to the independence and identity of a state, the practical expression of its sovereignty. Co-operation in matters of foreign affairs and defence is therefore politically more sensitive than co-operation in matters such as the economy and trade. This reluctance is reflected in the fact foreign and defence matters continue to be protected by the national veto. Co-operation in foreign and security matters is also difficult to achieve because of rival loyalties towards NATO. Throughout the post 1945 period, European states have treated NATO as the cornerstone of their defence policy. Progress in developing a common EU foreign and defence policy is therefore seen as downgrading the influence of NATO, and weakening the diplomatic and defence links between Europe and the USA. A common foreign and security policy is also hampered by the EU’s limited military capability, a weakness that became particularly evident in relation to the EU’s inability to act over the former-Yugoslavia in the late 1990s. The European Defence Agency (EDA) was set up in 2004, but the creation of a European army still looks to be many years away. What have been the implications of the enlargement of the EU since 2004? In 2004, the EU undertook its most dramatic enlargement, incorporating 10 new members, mainly former communist states of central and eastern Europe. EU enlargement has had a profound impact on the politics of central and eastern Europe. In many ways, it completed the process started by the end of the Cold War in 1989, by reuniting eastern and western Europe, overcoming the political, economic and ideological tensions that had been dominant since 1945. Enlargement has therefore helped to consolidate the process of post-communist restructuring across much of the former-Soviet bloc. EU enlargement has had key implications for the decision-making process within the EU. A large number of member states, and a changed balance between major states and smaller ones, has threatened to make EU decision-making yet more unwieldy and problematic. 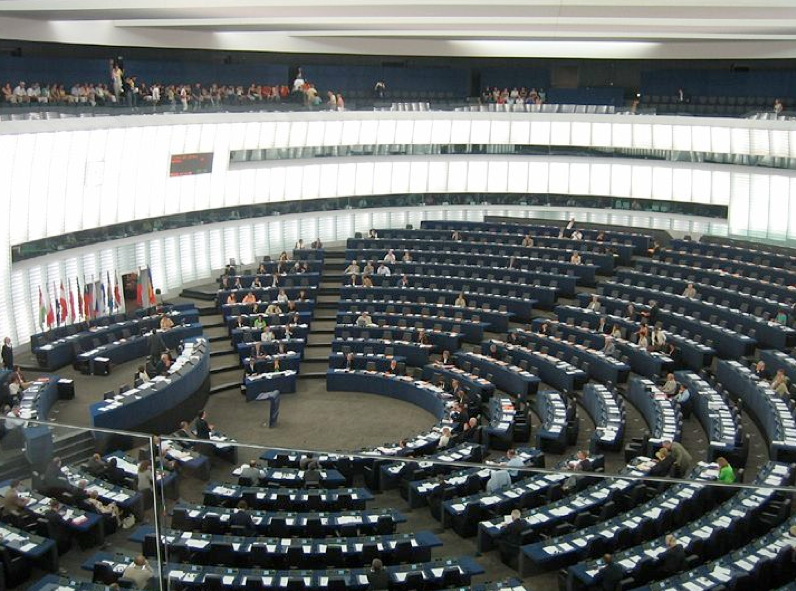 This has created pressure for a streamlining of the decision-making process, hence the proposal to introduce an EU constitution and, subsequently, the reform proposals encompassed in the Lisbon Treaty. Other implications of EU enlargement include the following. The less developed nature of the economies of accession states has created economic tension within the EU. A wider market creates the prospect of a strengthened EU in economic terms with greater influence on the world stage. EU enlargement has implications for immigration patterns, which have had an impact on both ‘poorer’ and EU ‘wealthier’ states. Immigration from poorer accession states to more prosperous western European ones has also been an issue. In what ways is the EU an example of supranational governance? The EU is an example of supranational governance in that the Union does not function merely as a forum through which sovereign states can take concerted action. Instead, and to a degree, EU institutions can impose decisions on dissenting member states. This applies, in particular, through the power vested in the European Commission, the European Parliament and the European Court of Justice. Supranational government nevertheless does not necessarily imply that the EU operates as a ‘super-state’. Define subsidiarity, and explain its significance for the process of European integration. Subsidiarity is, broadly, the devolution of decision-making from the centre to lower levels. As such, it suggests that decisions should be made at the lowest appropriate level. Subsidiarity has been incorporated into the process of European integration, in particular by the Treaty of European Union. Its significance for the process of European integration is that it defends national sovereignty against the encroachment of EU institutions. The TEU, for example, emphasises that the competence of the European Union should be restricted to those actions that ‘cannot be sufficiently achieved by the member states’. Subsidiarity thus modifies the trend towards federalism and supranationalism. Federalism is a favoured system of government of large, culturally diverse states. It involves the division of political power between the core and periphery. Certain issues will be reserved for the centre, such as defence, foreign affairs and macroeconomic policy, while others will be retained by the periphery (or individual member state) such as social and welfare services, education and perhaps some penal codes. Inevitably there is conflict between the central and peripheral bodies, which can be settled by signing a constitution which stipulates where the jurisdictions of the centre and the periphery lie. 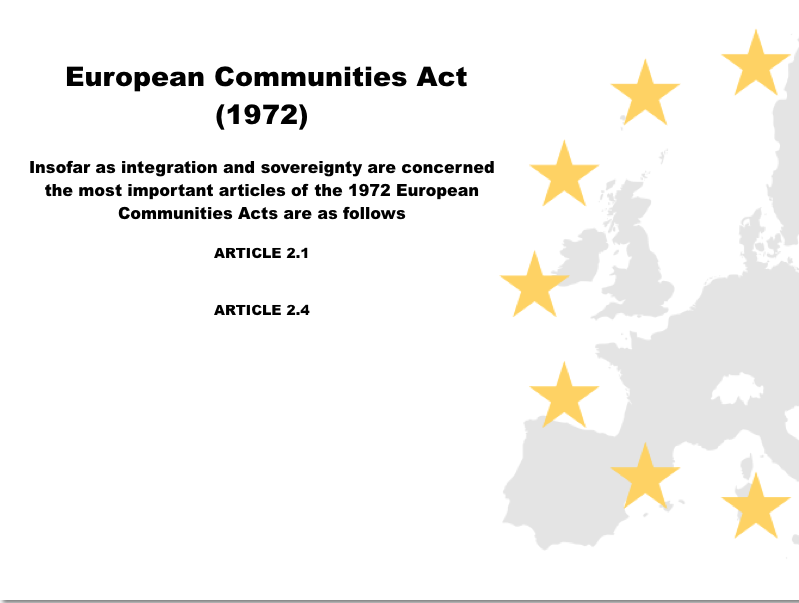 European federalists believed the European Communities (EC) would enable members to move ‘beyond the nation state’. The establishment of a directly elected Parliament and moves towards Qualified Majority Voting were important and the Maastricht treaty set in motion the transfer of power of key areas to the federal centre. Macroeconomic power is largely held in the centre, by the European Central Bank in Frankfurt for all member states of the Euro-zone. National governments are unable to subsidise industries that compete with firms from other EU states. Government spending is restrained by the convergence criteria and federalists are trying to bring convergence in taxation rates. In reality the EU is both an intergovernmental organisation through institutions such as the Council of Ministers, the European Council and to a certain extent the European Parliament and a supranational one through institutions such as the European Court, the European Central Bank and the Commission. Students need to explain why these institutions are supranational. They need to be able to assess the power of these institutions, particularly in comparison to the Council of Ministers. Clearly although the EU bears some of the hallmarks of a federal superstate, ultimate power is still held by the member states. 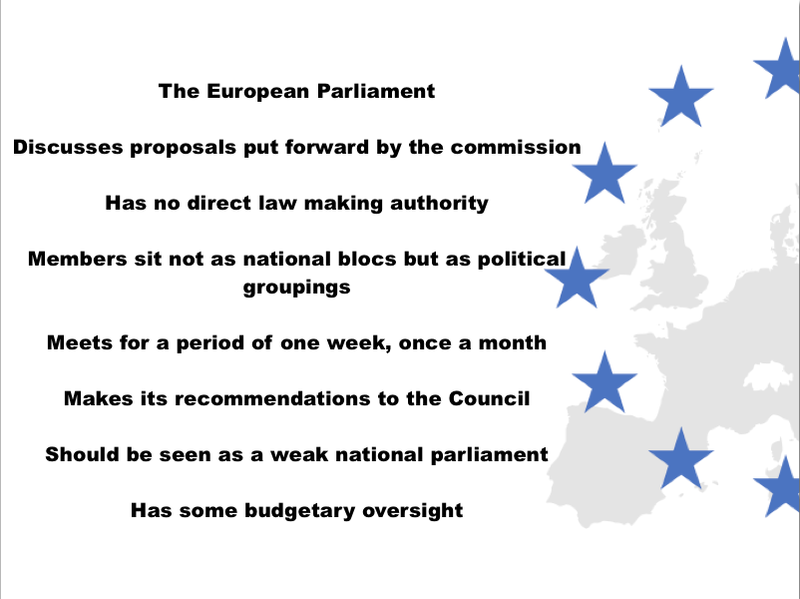 Tax raising powers of the EU itself is limited and a lack of interest in EU elections is becoming widespread. This implies that voters do not yet think the elections are important. Better students will discuss the EU Constitution and Qualified Majority Voting, which is essential for a truly federal organisation. The difficulties in developing a Common Foreign Policy and the clear lack of cohesion and unity over Iraq give illustration of the ‘progress’ needed before the EU could be described as a federal superstate. 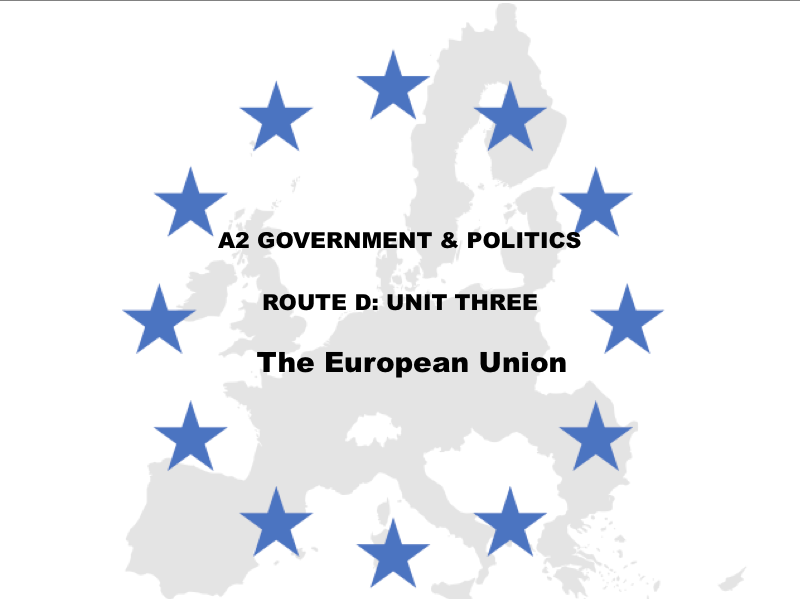 A ‘federal’ Europe would consist of a Europe in which sovereignty is shared between EU institutions and member states, each of them enjoying a sphere of autonomous policy jurisdiction. Early dreams of an integrated Europe undoubtedly had a federalist dimension, in that people such as Monnet and Schuman looked to the creation of an association in which the sovereignty of European nations would be ‘pooled’. However, the extent to which this dream has been realised has been a matter of considerable debate. 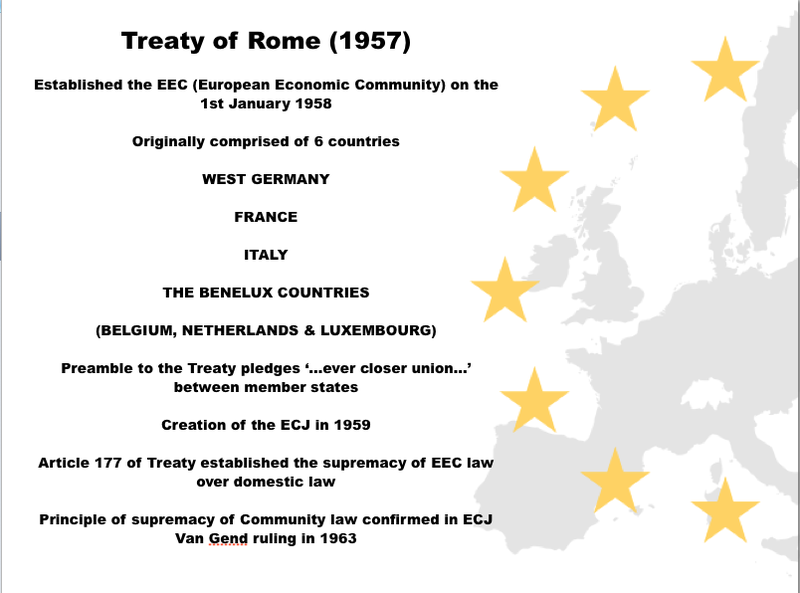 Those who argue that the EU has significant federalist features often point out that the Treaty of Rome (1957) looked to make countries relate to one another on the basis of supranationalism, suggesting that member states should hand over sovereignty on certain issues, allowing European bodies to impose their will on member states. The supranational character of the EU is more evident in certain bodies than in others. 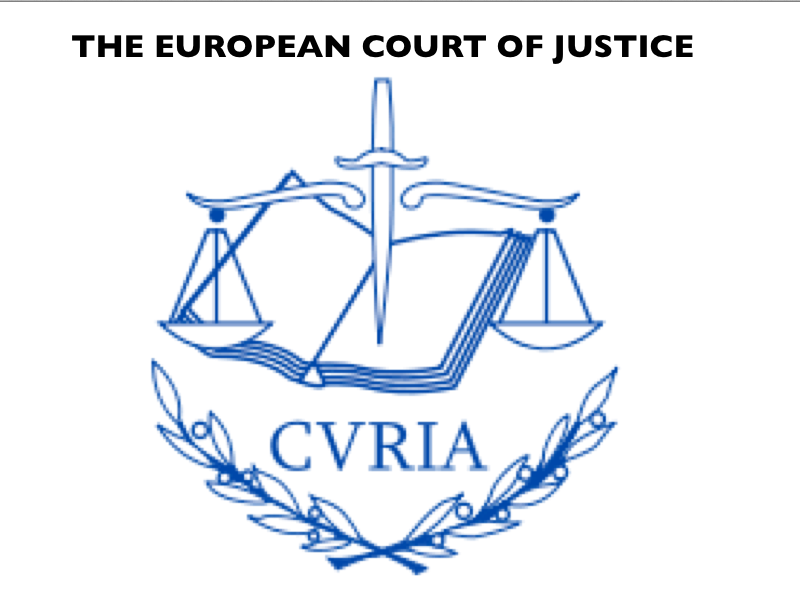 It is particularly evident in the European Commission and the European Court of Justice. 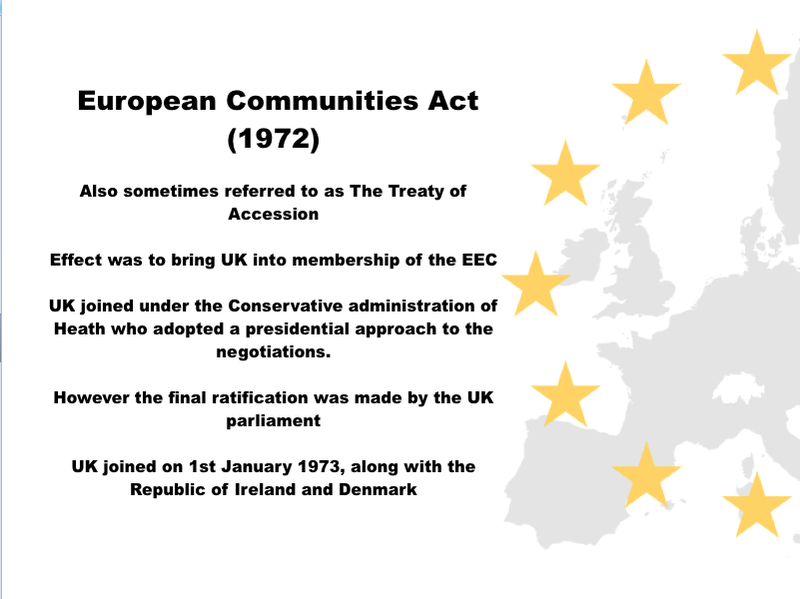 Federal features were also built into the EEC/EC/EU through the introduction of qualified majority voting (QMV), which, as it allows member states to be outvoted on issues, has implications for sovereignty. Many also argue that the process of European integration has gradually transformed the EC/EU from being a confederation of independent states to becoming an organisation with federal-type features. 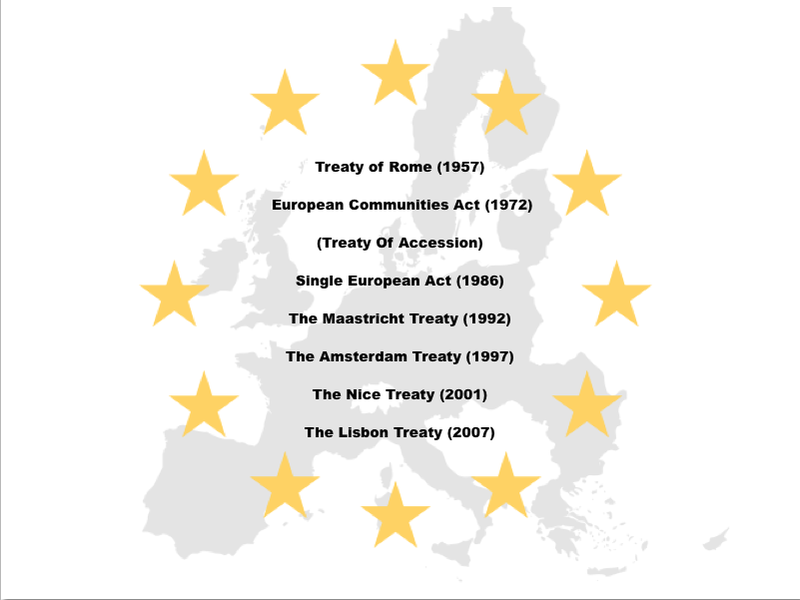 The phases in this process include the progressive extension of QMV and restrictions on the national veto over a range of issues due to the passage of the Single European Act (1986), the Maastricht Treaty (1992), the Treaty of Amsterdam (1997) and the Treaty of Nice (2001). A further expansion of QMV is proposed in the Lisbon Treaty. 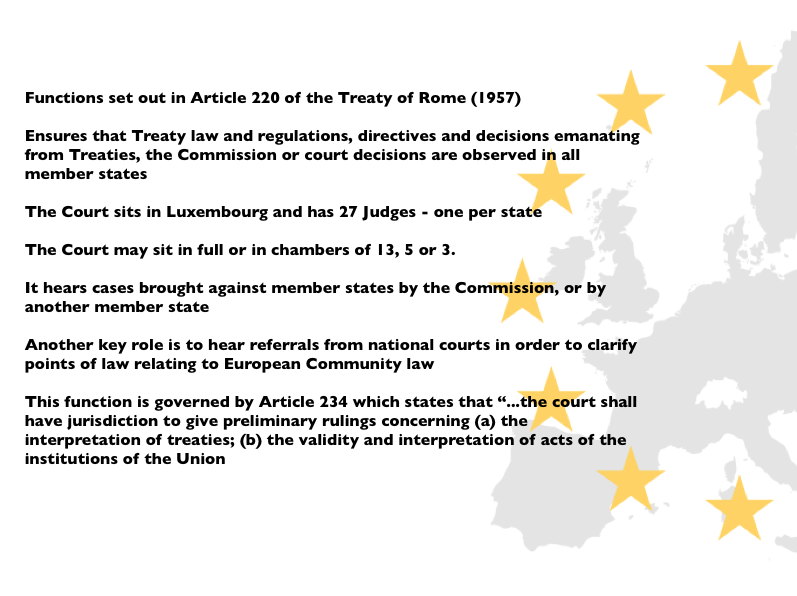 It has been clearly established since the 1980s that EU law has precedence over the law of member states, a position established in the UK by the Factortame cases. European integration has gone furthest in those countries that are participating in monetary union, which have effectively ceded economic sovereignty to the EU in certain areas. However, others argue that the EU has an essentially intergovernmental character in that interaction usually takes place on the basis of sovereign independence. From this perspective, a ‘federal’ Europe has remained but a dream. Such a view is underpinned by the fact that member states retain power through the European Council. The EU is therefore not a form of supranational government, but a cross between supranationalism and intergovernmentalism, something like the UN in which sovereign states agree to do things in the same way but not by abandoning sovereignty. The idea of a European ‘super- state’ is therefore a myth. Although the national veto has been reduced in scope, it continues to be applied to important areas of policy-making, such as taxation, foreign and defence policy. 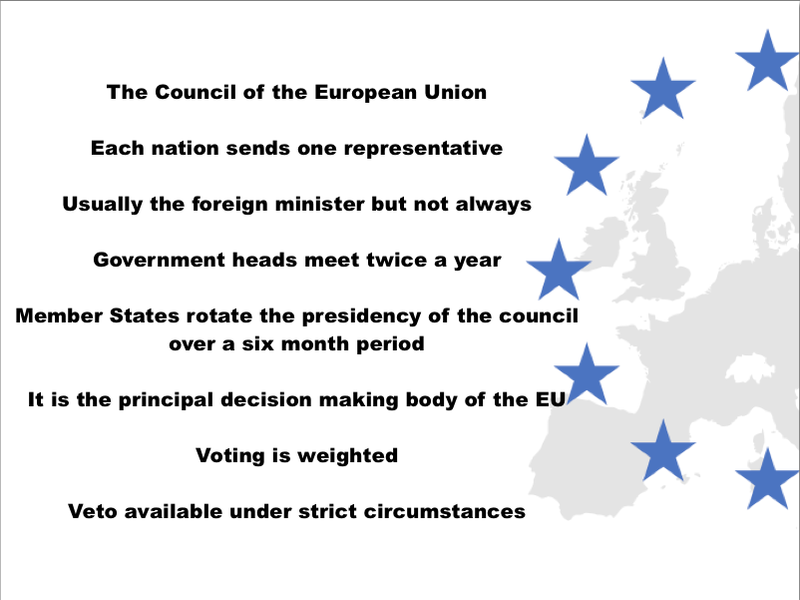 The flexibility of decision-making within the EU has also been maintained through ‘opt-outs’, which some member states have successfully negotiated in relation to policy areas that affect vital national interests. This has allowed, for example, members states such as the UK and Denmark to opt-out from monetary union. ‘The EU is a unique example of regional integration.’ Discuss. The EU like other regional economic blocs serves as a free trade area, giving member states access to a larger internal market. Like most regional economic blocs, the EU establishes common tariffs that enable it to protect member states from competitive pressures beyond their borders. The EEC/EC/EU stemmed from unique historical circumstances, notably the overriding need to avoid a further European war by establishing peace between Germany and France. The EU is unlike other economic blocs in that it has developed a significant dimension of political union. This is evident in a variety of respects, including the supranational authority that resides in certain of its institutions, notably the Commission and European Court of Justice, the wider use of qualified majority voting and common citizenship rights that now extend across the EU. 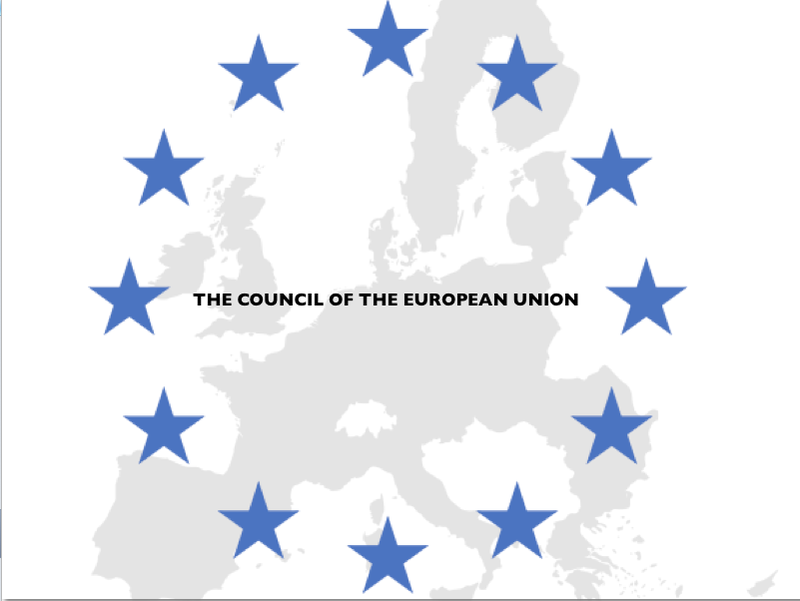 The EU is therefore no longer a confederation of independent states; it possesses unique federal-type features that are not found in other regional organisations and thus provides the only significant example of a political alternative to the nation-state. The EU is also unique in pursuing monetary union. This was designed to deepen the process of economic integration but it has also increased pressures for political union. The EU also conforms to a social model that seeks to make guarantees to EU citizens on a range of issues, including employment rights, working hours and so forth. The EU has developed into a major global actor.’ Discuss. The EU’s continent-wide internal market gives it substantial economic influence, especially as European integration has embraced both political union and monetary union. 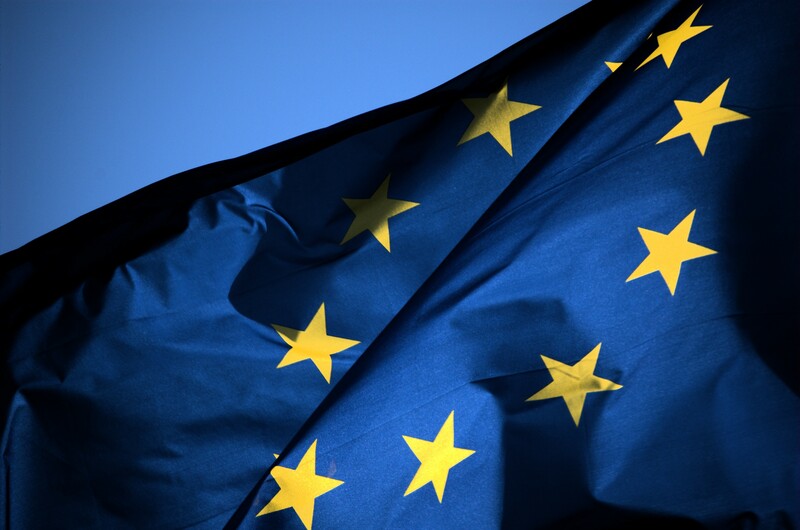 The sheer size of the EU in economic, trade and financial terms makes it a key global actor. It is the biggest trading bloc, is home to the world’s second currency and the EU spends over 7 billion euros a year on aid to developing countries. 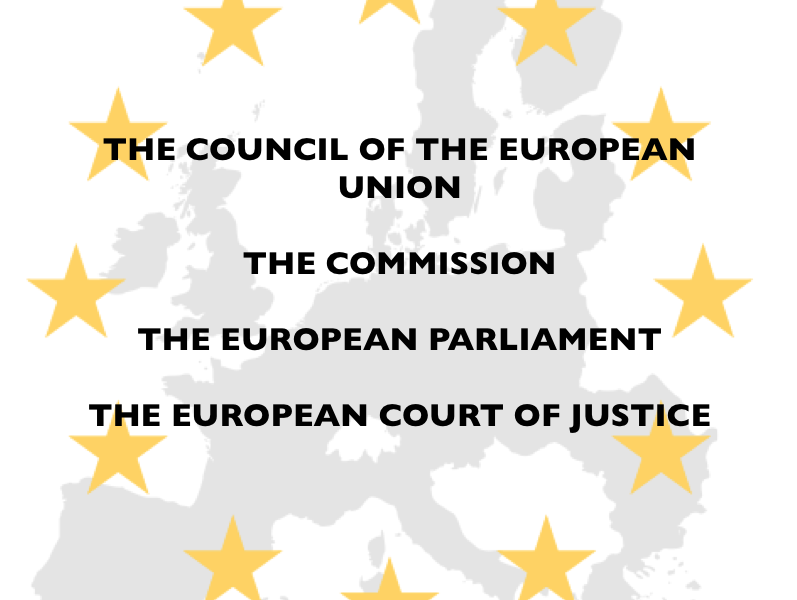 The EU has significant structural power, being the only non-state to be represented on a number of international and global bodies. These include the WTO, G7 and G20. The EU also exercises important diplomatic influence, particularly by virtue of its ‘soft’ power. This is evident, for example, in relation to Iran and nuclear proliferation and especially on the issue of global climate change. An attempt has been made to strengthen the Common Foreign and Security Policy through the creation of the office of the High Representative, designed to better coordinate the EU’s foreign policy in conjunction with the President of the European Council. Progress on establishing a Common and Security Policy has been limited by the desire of member states to retain control of their own foreign and defence policies, seen as key symbols of sovereign independence. This has particularly applied in the EU’s failure to develop a significant military arm that enables it to project power within Europe and beyond. This was particularly demonstrated by the EU’s weakness in the 1990s in relation to atrocities in former- Yugoslavia and in 1999 in relation to the Kosovo war. The EU’s military influence extends little beyond the EU Battlegroups Initiative and the deployment of peace- keeping missions in parts of Africa, the former-Yugoslavia and the Middle East.